With 2017 drawing to a close, Solar Power Portal recaps some of the most popular and important stories of the year. In the fourth and final part of a series of articles in the lead up to Christmas, today we look at the last three months of 2017. In October the energy industry finally got a glimpse at what the government had spent much of the last two years working on (and ultimately producing nearly a year late) in the Clean Growth Strategy and, well, that was about it. If UK Solar was expecting some form of strategic direction from BEIS for one of the UK’s cheapest and most pervasive renewable technologies, then it was sadly mistaken. All decisions were deferred until “later this year” and, at the time of writing, with parliament rising in mere hours, it is still waiting. It was enough for the Solar Trade Association to accuse the government of artificially holding back solar, most notably in its continuing exclusion from CfDs. Government would and still does argue that no technology is excluded per se, but solar PV has not been invited into the next auction round and the government’s decision to curtail all further renewable subsidies until 2025, hidden within the Budget, there doesn’t stand to be an awful lot left in the pot. And if that wasn’t enough, in November Ofgem proposed radical changes to the way in which network costs are recovered, which could see solar households paying more than they currently do. Ofgem’s long-standing argument is that, at present, the system does not fairly distribute those costs as households with on-site generation import less electricity and therefore pay less towards the grid’s operation and maintenance. Ofgem ultimately wants to migrate to charges based on a capacity (peak system use) basis, fixed charges per customer class or a mix of the two. It has yet to make up its mind and is inviting feedback but, as the pace of change in the UK’s energy market accelerates, Ofgem wants to reach a decision by next summer. What we may not see before next summer is Tesla’s solar roof tiles, at least not in the UK. In mid-November founder Elon Musk held a conference call with analysts on the back of a rather topsy-turvy set of accounts and, perhaps overlooked by most analysts, one in particular quizzed the enigmatic chief exec on just when we can expect to see them deployed. Musk wasn’t exactly clear, but it has become apparent the timeframes have slipped slightly compared to when Musk stood on the set of Desperate Housewives attesting that they’d be up for sale before the year was out. They are installed on some homes – mainly Tesla execs – as testbed projects, but the chances of them being available to UK residents in early 2018 would appear stretched. October saw the annual gathering of UK Solar in Birmingham for SPP publisher Solar Media’s show. The 2017 edition, rebranded as Solar & Storage Live, saw the industry take stock and celebrate its achievements. Big winners at the 2017 SPP Awards included EvoEnergy and Solarcentury chief executive Frans van den Heuvel, and we’re delighted to announce that we’ll once again be honouring UK Solar’s achievements in Birmingham next year. More on that in the first few weeks of January. One of the overriding thoughts SPP took from S&SL this year was that if 2016 was the year of trepidation, 2017 was the year of confidence. Conversations were far more measured and meaningful than they were a year ago, with the air of an industry ready to persevere. If there was ever more proof needed for that, then Hive Energy and Wirsol were waiting in the wings. 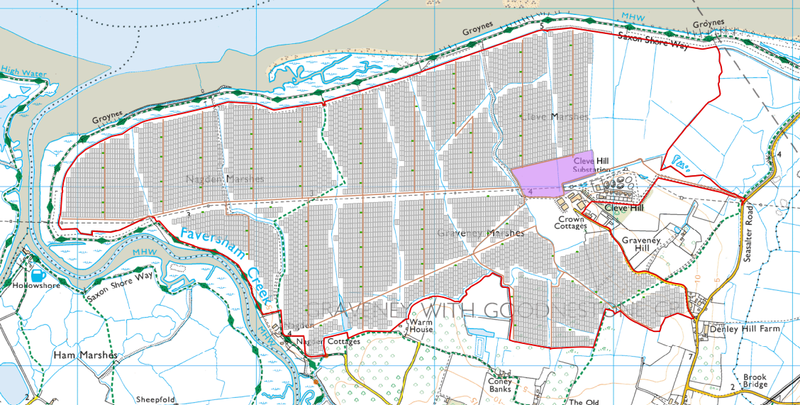 In early November the duo confirmed they are working on plans for a “pioneering” 350MW solar farm earmarked for the Kent coast. The project, which would comfortably be the largest in the UK should it be built, would also comprise battery storage. It’s a long way before it gets the green light – the first planning documents have begun to appear in the National Infrastructure Planning framework – but it’s yet another sign that UK Solar is ready for a productive 2018.